SPORTVEST & STAKRN TEAM UP! SportVEST and STAKRN announce a strategic partnership to support eSports startup investments. 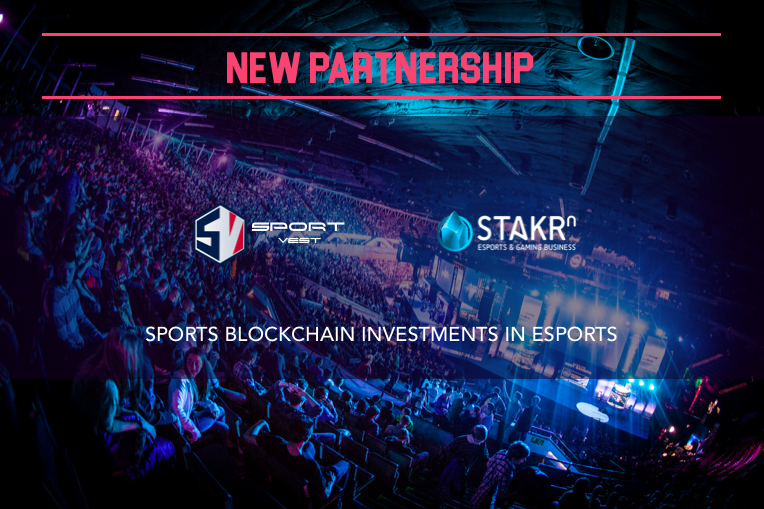 SportVEST and STAKRN, have teamed up, to bring the game to eSports fans! Their combined knowledge, resources and networks will seek to derive more value from the enormous opportunities in the eSports space. The partnership is built on common understanding, that eSports hold massive potential and will surpass traditional sports when it comes to audiences and revenues. STAKRN’S mission is to grow the eSports economy through smart and efficient B2B services, such as an eSport business platform (www.stakrn.com), an eSports consulting & pro-gamers representation agency (www.stakrn-agency.com) and an event organization service (conferences, workshop, convention). With one of the most comprehensive professional networks in the eSports and video game industry, STAKRN is regularly approached by companies seeking investment across all stages. As part of STAKRN’s commitment to helping the eSports industry grow it has- and always will -dedicate some time and assistance to locate suitable VC and investment partners. SportVEST, is a Tokenized Sports Venture Capital Fund on the blockchain investing in the sports ecosystem creating sports as a new asset class. The aim is to democratize and simplify investments into sports startups, post seed / pre series A, which have difficulties finding support within the more traditional business environments and sources. Using STAKRN’s investment lead pipeline, SportVEST will now be able to evaluate potential eSports investment opportunities and their suitability or readiness to receive funding either from themselves or a 3rd party. The vision and passion for eSports, blockchain and tokenization and a common interest is what brings SportVEST and STAKRN together, who both remain committed to growing and investing in the futures of sports. For more information visit: sportvest.io or email hello@sportvest.io and stakrn.com or email boris@stakrn.com. A Tokenized Sports Venture Capital Fund on Blockchain. Visit https://sportvest.io or Email: hello@sportvest.io for more details.